After the first hours of operation, Nikonians Academy in the UK have been selling a substantial number of seats of the popular Nikon camera body and Nikon iTTL/CLS workshops in Manchester, Birmingham and London. The customers, typically amateur photographers of all calibers, but also pro's are paying an introductory price of 150 EUR (ca 123 GBP) for a full day, information-loaded course. The first courses: Master your Nikon D300/D300s in depth and Master your Nikon i-TTL Wireless Flash are running in London October 2nd and October 3rd 2010 and all courses are of course open to all Nikonians from all over the world, not only for Nikonians living in the United Kingdom. These first workshops are followed shortly by the Master your Nikon D90 & D80 on October 16th and another chance to get to know your i-TTL flash system inside out on October 17th. The venue for these courses is also London. 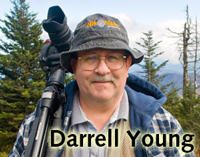 At the end of October, on the 30th and 31st, Manchester follows with photography workshops on D300/D300s and iTTL/CLS. For the ones of us with Nikon D700 and Nikon D3's (including the D3S and D3X), we are running workshops in all three cities in November. Driven by the strong demand for professional camera and equipment workshops, Nikonians Academy launches its European chapter August 31st 2010. We are starting out with courses in London, Birmingham and Manchester, UK. Shortly thereafter followed by courses in Amsterdam (NL), Brussels (BE) and throughout Germany. The first courses take place in London, UK early October 2010, focusing on the Nikon DSLR's D300/D300s, Nikon D80/D90, Nikon D700/D3 and Creative Lighting & iTTL. The price is expected to be ca 125 GBP incl VAT for a full day of information loaded, hands-on training. 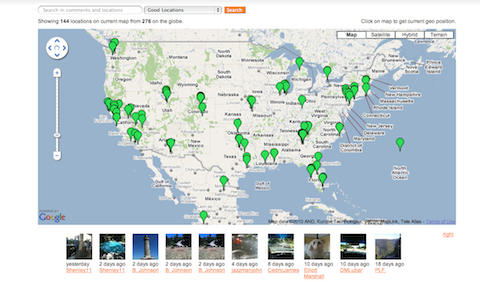 The Nikonians Good Locations site shows you good shooting locations across the world. The locations are shared by other members of the community using their iPhones. The iPhone app is free and very easy to use. The Good Locations site allows you to easily search for locations by selecting a part of the global map, or to search for location names and contributors. You can also edit your own contributions, modify their description and change their location - if wrongly tagged. The Good Locations site is a part of the Share, Learn and Inspire program by Nikonians, where users help each other becoming better photographers. The Good Locations iPhone app, available in the iTunes app store for free, enables you to easily capture a location with the built-in iPhone camera, add a comment, rate the location (good/bad) and commit the information to Nikonians servers. You can also set up your account through the iPhone to automatically publish locations to Facebook and Twitter. There is more information and a small users guide on the Good Locations system in our wiki. 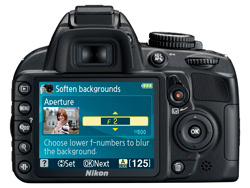 Nikon has released an update to Capture NX2 bringing it to Version 2.2.5. 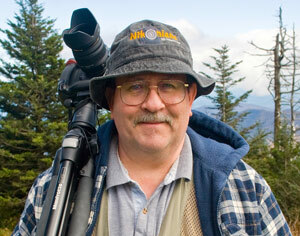 The update is available for both PC and Macintosh platforms (Nikon USA links). Nikonians will be at Photokina in Cologne, Germany September 21st-26th, Hall 5, Booth A010. Stop by and check out the latest gear including new Magica tripods, chat with other Nikonians, learn about the upcoming workshops with Nikonians Academy Europe, learn to use Aperture 3 and more. Our tri-state Nikonians Chapter “NoVA”, covering Maryland, Virginia and Washington DC is now fully formed. The NoVA chapter has scheduled a photo walk at Huntley Meadows Park on Saturday, September 18th. at 7:30AM. From the D.C. Beltway, take Beltway Exit 177a (Richmond Hwy., Route 1) south 3.5 miles. Turn right on Lockheed Blvd. Go 0.5 miles to the park entrance on the left at Harrison Lane. After entering the park gate, drive roughly 0.2 miles to the parking area and park in the spaces at the far end of the parking area (or as close as you can find open spaces there). We will meet near those far end spaces close to where the trail starts. If you want to join, check out contact details in our NoVA discussion thread. Fix for 24-70mm 2.8 Light leakage problem? Nikonians mGallery app V1.1 for iPhone, iPad and iPod Touch now available in iTunes. New features include easy bookmarking, saving images to iPhone and sending images via email. One full month ahead of the world's largest imaging exhibition (Photokina 2010) Nikon has announced a brand new Digital SLR and four new lenses. The new Nikon D3100 assumes a numerical position in between the D3000 and D5000 but close examination of the specs shows it has all the potential of rivaling the D5000 in pure "wow" factor. 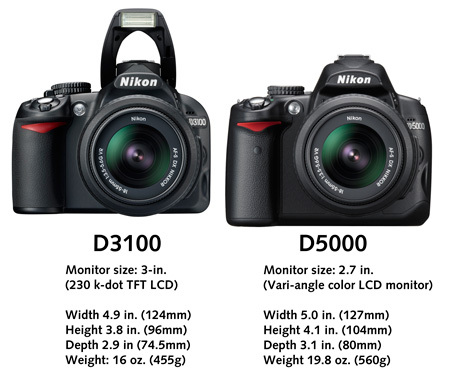 As you can clearly see by the side-by-side comparison of the D3100 and D5000 above, the newer model is smaller and lighter. Both sport the AF-S NIKKOR 18-55mm f/3.5-5.6G VR image stabilization lens. From the back, you immediately spot the 3-inch LCD screen which is larger than the D5000's 2.7 inch version (lacking the variable angle feature). That screen will come in handy for entry-level consumers (Nikon's target market with this camera) as they follow the enhanced Guide Mode introduced in the Nikon D3000. 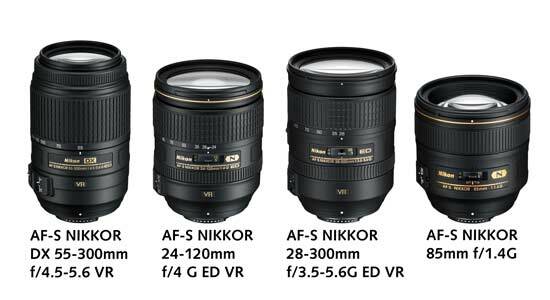 ▪Available in September for $699.95 USD (with the AF-S NIKKOR 18-55mm f/3.5-5.6G VR lens). As I read over the specs of the new Nikon D3100, I'm impressed with the list of features added to this camera. Comparing it to the previous D3000 is not entirely useful since it has a feature set that makes it more like the Nikon D5000. In fact, some of its features exceed what the D5000, and even the D90 are capable of, such as full-time autofocus in Live View and D-Movie modes. The fact that it has an extended ISO range (100–3200 expandable to 12800) and a 14.2 megapixel imaging sensor means that it can be even more useful in low-light and large image situations. There are several things I'm interested in discovering whenever I can get my hands on one of these new D3100s. The questions I have are: How much will the new EXPEED 2 microprocessor improve things like autofocus speed, camera responsivness, and noise control. Will it adjust automatically for chromatic aberration? Will the new full-time autofocus in Live View/D-Movie modes be accurate and manually overridable? How will the image quality compare to a camera like the D5000, D90, or D300S? Is this the perfect small carry-everywhere camera? The Nikon D5000 certainly has a direct competitor in the new D3100. At the current time, they have similar pricing. However, the feature set on the D3100 seems to show better capability, for the money, than the D5000. When I saw the announcement concerning the "entry-level" nature of the D3100, I was a bit disappointed. Then I read over the features and they raised my eyebrows. If Nikon can create a camera in this price range, with this amazing set of features, and still offer reasonable speed and high quality, I think the new D3100 will be an immediate and world-wide hit. When Nikon finally comes out with technology, it's often superior to the competition, sometimes even setting new standards. Will the new D3100 be the next standard-setting Nikon? With a price and features like this, they've got my interest! Here's the full Press Release from Nikon USA. Nikon has announced a trio of lenses that update old classics and bring new capabilities to full-frame (FX) cameras: the AF-S 85mm f1.4 G, the AF-S 24-120mm f4 G ED VR and the AF-S 28-300mm f3.5-5.6 G ED VR. Nikon has announced the latest update to their DSLR line, the D3100 and a matching 5x telephoto zoom, the AF-S DX 55-300mm f4.5-5.6 ED VR. The camera will come bundled with the new ViewNX2 editing utility. The Image Doctors are joined by David Tejada in the studio for a "Photographer's Round Table." Nikon has released ViewNX 2, an upgrade of their free browsing and editing utility. The program offers enhancements to select editing functions, a revised UI and closer integration to the my Picturetown photo service. The View NX 2 utility is available for download here. Nikon has announced two new Coolpix models - the 12MP S5100 equipped with a 28-140mm lens and featuring EXPEED C2 processing engine which promises excellent image quality at higher ISOs, lens-shift VR and optimization for handheld-night time and natural fill-flash shooting. The 14MP S1100PJ expands on the unique merging of a digital compact camera and a powerful projector. The new model features 40% brighter projection power, a 3-inch LCD touch panel and can double as a personal computer projector when not being used as a still camera. photokina PIONEERS – the international community for people with a passion for creating expressive photographs and videos — has launched a very special project. In a competition titled "China in Your Eyes," all present and potential PIONEERS can go to the community's website at www.photokina-pioneers.com and upload up to five photographs or a video (no more than 60 seconds long) to participate. Show how the "magic of the Far East" can be felt even in your own immediate surroundings — whether it's in the cozy restaurant around the corner, watching the pandas at the zoo, or looking at bonsai trees in your neighbors' garden. 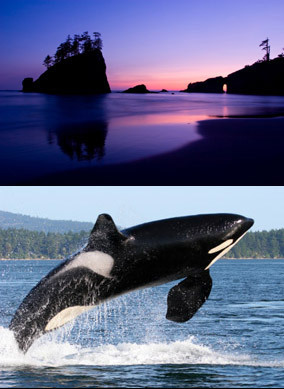 The winner of the photo holiday will be drawn among the ten PIONEERS which gather the highest scores. The scores will be fixed on August 23rd, 2010. 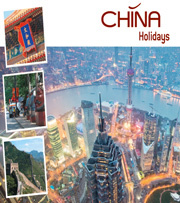 The winner will be rewarded with a photo holiday for two persons offered in cooperation with photokina PIONEERS partner China Holidays. Tamron has released their new 70-300mm f4-5.6 telephoto zoom. This new version is equipped with Vibration Compensation, featuring a four-stop advantage in hand-holding. Premiering as well is Tamron's coreless motor implementation, called Ultrasonic Silent Drive, which delivers fast and quiet focusing. LD and XLD elements in the optical formula prevent chromatic aberration and provide greater contrast and sharpness. The lens is available now in NIkon mount with a street price of USD449, making it very competitive to Nikon's own 70-300 VR. We'll have a review of this lens up soon. There are the last, few seats available for the event of the year, Nikonians ANPAT 10. Make sure you book now to get on one of the vans with the other Nikonians! Congratulations to Preston Moochnek (massulo), winner of the June segment of our Best of Nikonians - 2010 Images Photo Contest. 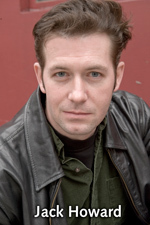 Preston is a Gold member from Florida, USA. 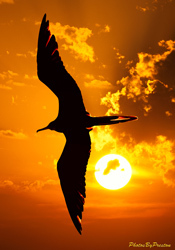 His image is called "Inferno in the Galapagos." Described by the judges as a timeless image that captures nature at its finest with a simple yet wonderful composition, Preston takes a modest approach, telling us it was a lucky shot: "It was a very bright sun that afternoon - Frigate birds were everywhere to be seen. This shot was taken hand held. I put the Nikon D200 in high speed mode. Closed my eyes and voilà--I got lucky...Sigma 100-300mm F4 EX DG APO HSM lens at f/5.6 with 1/1000 shutter speed and ISO set to 200." Preston's prize for winning the June segment will be a Think Tank Photo Airport Acceleration backpack, valued at $279.00 USD. The July Segment (Babies Theme) is being judged and meanwhile, it is time for fans of image manipulation to go wild this month. The August theme is "Digital Art." For information check the Best of Nikonians - 2010 Images Contest Rules. Have you seen the latest Nikonians equipment reviews? This month, Thomas Berg gets up close with the Tamron SP AF60mm f2.0 Macro, and Team Moderators Victor Newman and Martin Turner get under the covers with Think Tank's latest weatherproof shield, the Hydrophobia. The Image Doctors are back with a potpourri of topics they'd like to call "Things we've learned from our mistakes>"